300 color + 500 b-w illus. The south London parish of Battersea has roots as a working village, growing produce for London markets, and as a high-class suburb, with merchants’ villas on the elevated ground around Clapham and Wadsworth Commons. Battersea enjoyed spectacular growth during Queen Victoria’s reign, and railroads brought industry and a robust building boom, transforming the parish into another of London’s dense, smoky neighborhoods, though not without its unique and distinguishing features. Among these are Battersea Park, which was created by the Crown in the 1850s; the monumental Battersea Power Station, completed in 1939; and Clapham Junction railway station, which is, by measure of passenger interchanges, the busiest station in the United Kingdom. 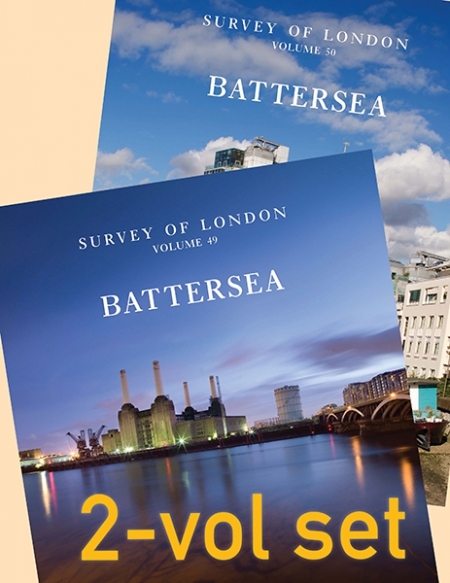 The two latest volumes of the Survey of London, 49 and 50, trace Battersea’s development from medieval times to the present day. 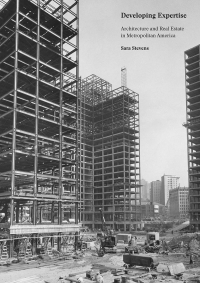 Offering detailed analysis of its streets and buildings both thematically and topographically, and including copious original in-depth research and investigation, the books are a trove of architectural history and British history. Profusely illustrated with new and archival images, architectural drawings and maps, these volumes are welcome additions to the acclaimed Survey of London series. Andrew Saint is the general editor of The Survey of London and the author of Richard Norman Shaw. Colin Thom is senior historian, Survey of London, English Heritage.